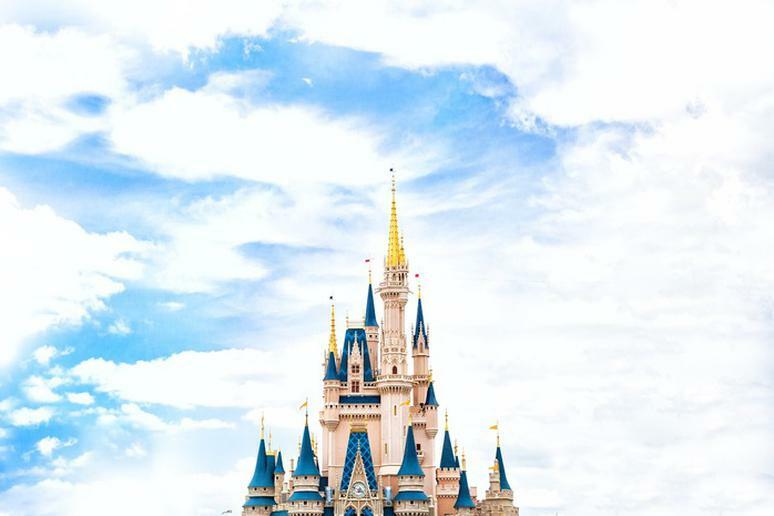 Visiting Walt Disney World in Florida or Disneyland in California is a magical experience for every child but the magic is somehow lost for parents when they have to set up a separate savings account years before to trip to save enough money for it. Seeing Mickey and Cinderella is conceivable even for cash-strapped parents. 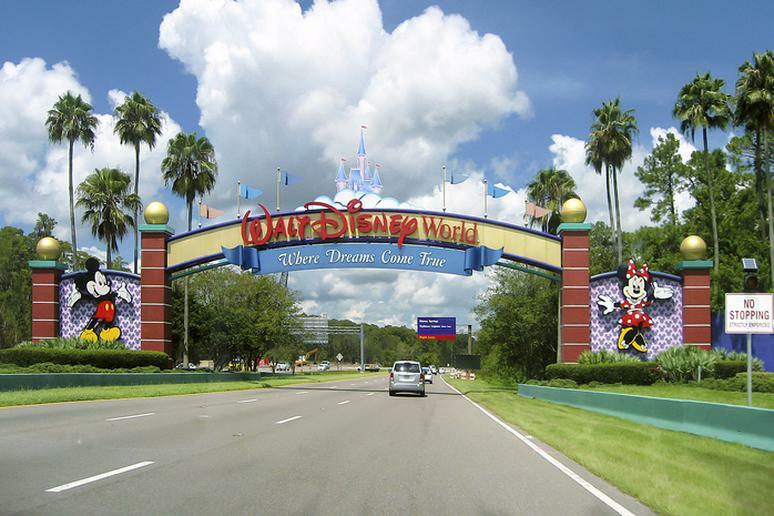 Make a trip to Disney even more amazing by going on a road trip to get there. 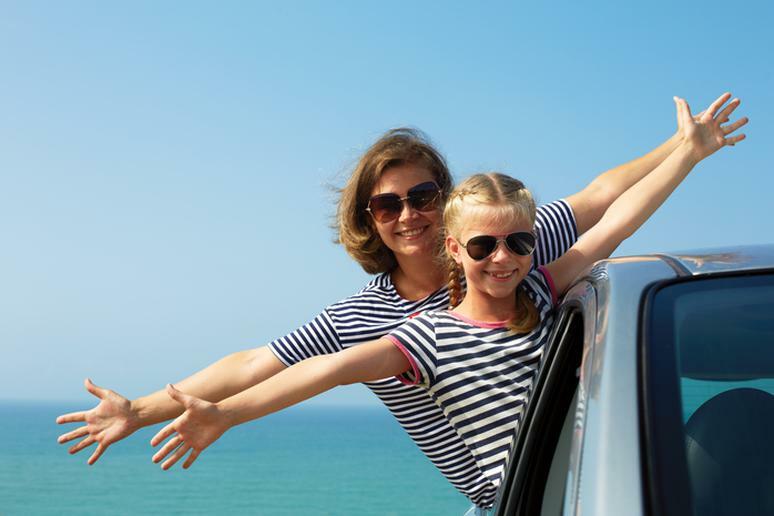 You can find good flight deals depending on how early you plan to book a trip, but nothing beats the cheap price of gas – especially if you have to pay for 4-5 plane tickets. As is the case with most purchases – the sooner you buy tickets, the better. 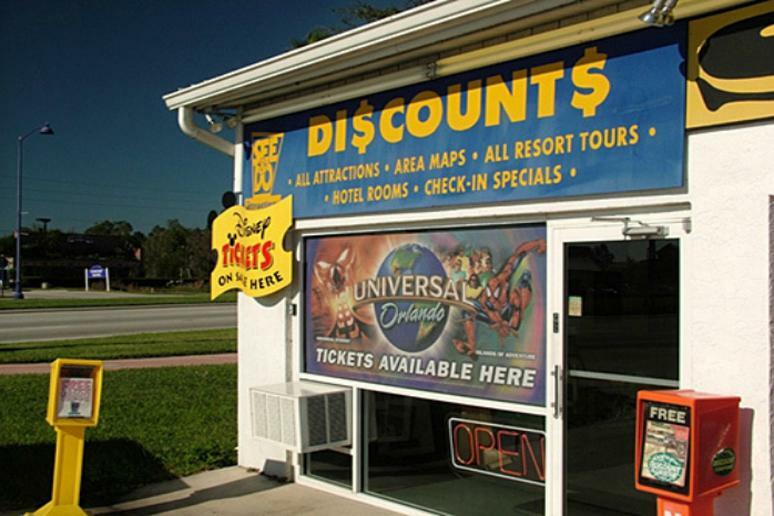 You are not likely to find good deals or a lot of discounts if you purchase your passes three days before you actually get to Disney. It’ll be even worse if you plan to buy them at the gate. Also, Disney usually raises prices every year so purchasing them way ahead of time can help you avoid the hike. Go to Disney’s site to see what prices they charge and then run away. AAA offers a lot of discounts. You can also save a bunch by buying passes from other sites such as Undercover Tourist. Check your work benefits, too. 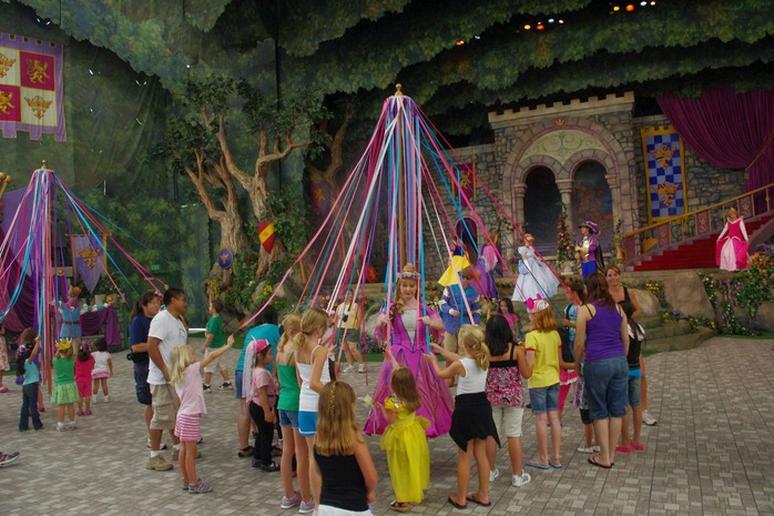 Many companies offer certain perks that include discounted tickets to movie theatres, musicals, and amusement parks. Costco and Official Ticket Center may also offer good deals. Don’t go when the kids are out of school in July, around Christmas, Thanksgiving or Spring Break. Check out the crowd charts before you start planning a trip. Non-peak times at resort hotels are usually around 20 percent cheaper. 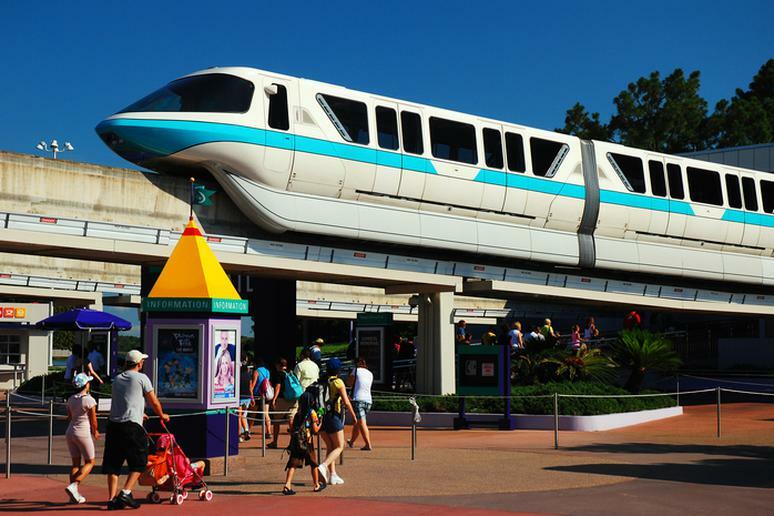 You can save even more because Disney offers free transportation to and from their on-site hotels. The “value season” between mid-August and mid-September and in January, is usually the cheapest. Why would you do that when you can bring your own food and drinks into the park? 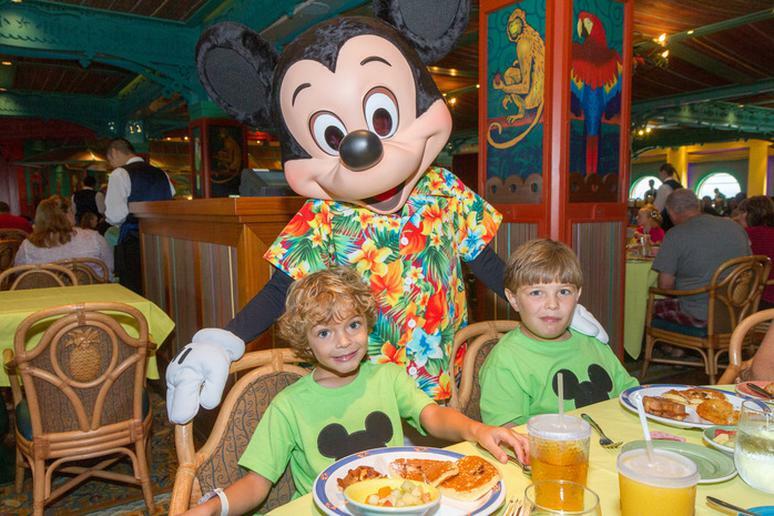 A package includes three meals a day at Disney restaurants which include a table-service meal, one counter-service meal, and one snack per person. One or two are more than enough to meet favorite characters and enjoy the experience of having lunch or dinner with them. Even with free transportation to the resort and back, Disney hotels are not cheap. If you can’t stay at a friend’s house for a few days, look at other options. You can find low rates on sites such as Hotels.com and Airbnb. 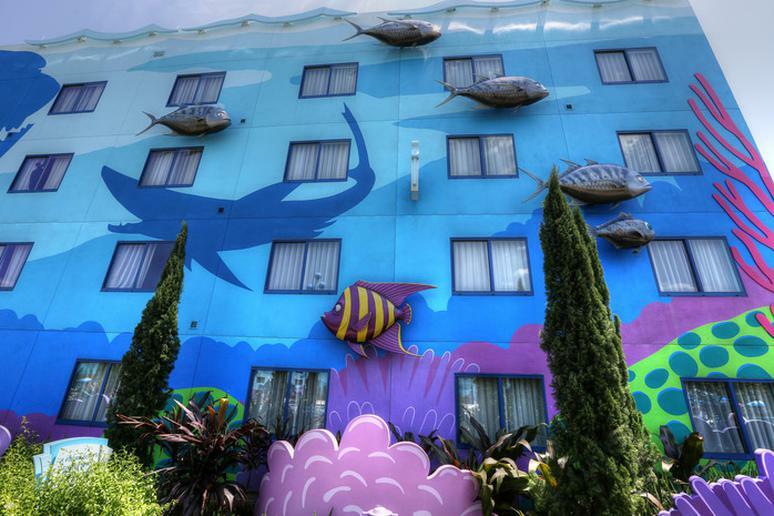 Even hotels that are just outside the park charge a fraction of what a Disney resort will. You can even bid on a site such as Priceline. 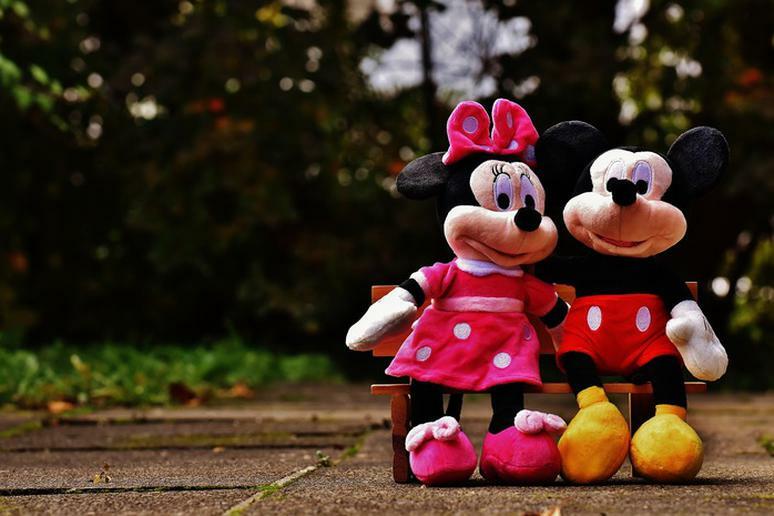 Ask anyone, even the Disney characters around the park, and he or she will be glad to take a photo of you and your kids free of charge with your phone or camera. Dinners cost more at any eatery. If you absolutely must have a sit-down meal at a Disney restaurant, save money by booking lunch instead of dinner. 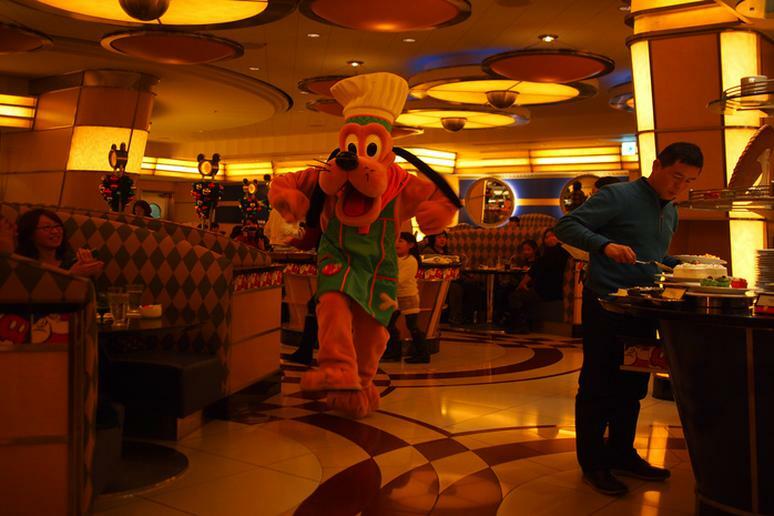 Book a meal during non-peak eating times and the characters will visit your table more often. Do you want to spend $4-$5 for a water bottle? That’s more than at an airport. 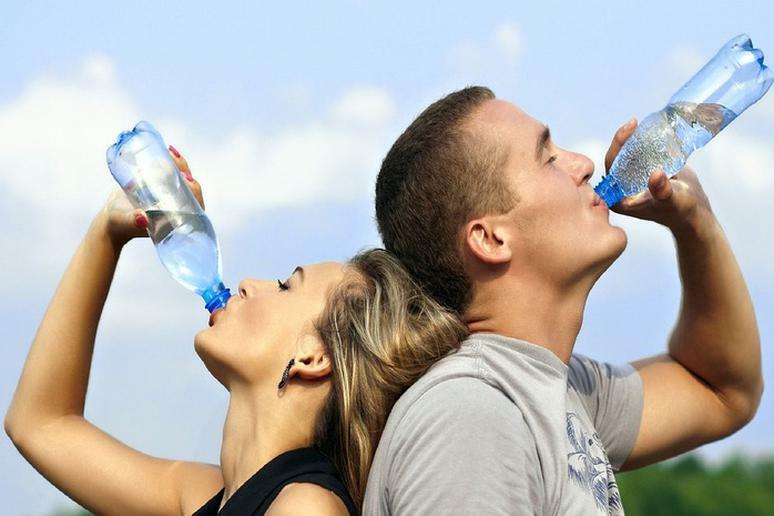 You and your kids will get thirsty often because of the excitement and running around. The cost will add up quickly. Bring your own bottle and keep refilling it. Quick-service restaurants will provide water, and ice, even if you don’t buy food. Are you really going to visit more than one park in a day, considering the sheer scale of each theme park? Just going from one park to another is a time-consuming endeavor. Pick your park for the day and make the most of it. Go on as many rides as you can instead. Also, the park hopper option doesn’t include access to water parks. 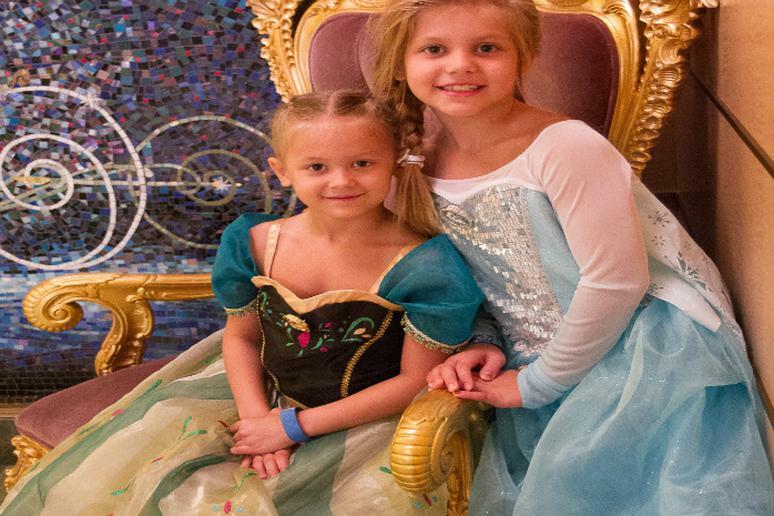 Decide how many days you’re going to spend on your Disney dream vacation and buy a pass for as many days. Don’t buy one ticket at a time. The price per day drops with every extra day you add up front. 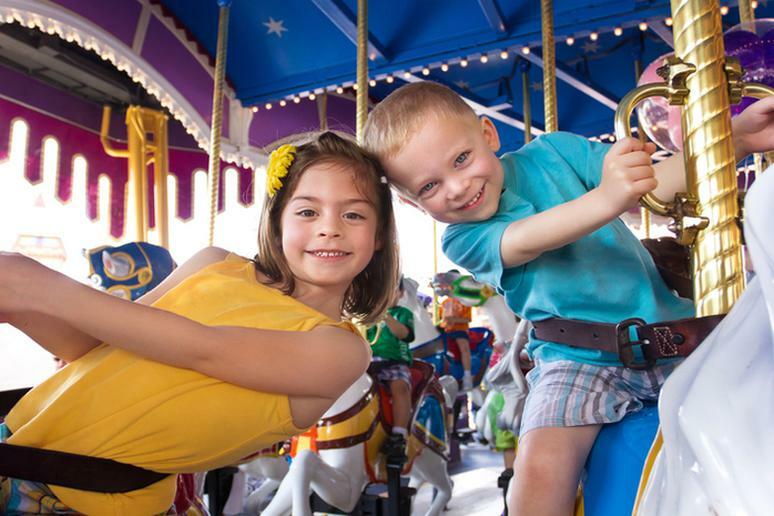 One day at the park is going to cost around $102. A third day is down to $95, fourth to $81, fifth to $68, and so on. 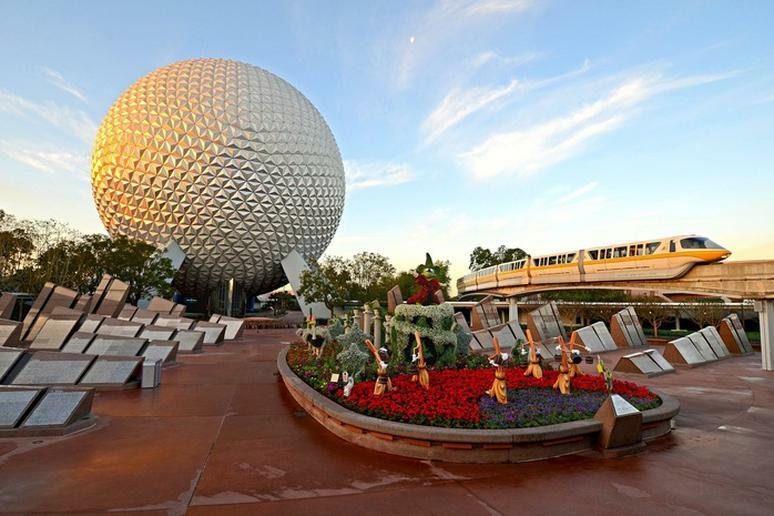 Disney is a gigantic property with an endless number of attractions, rides, and entertainment options. You should do your research to see what’s available and at what price, but make sure you always ask for discounts. There is almost always a promotion being offered, especially to veterans, AAA members, local residents or Disney card holders. 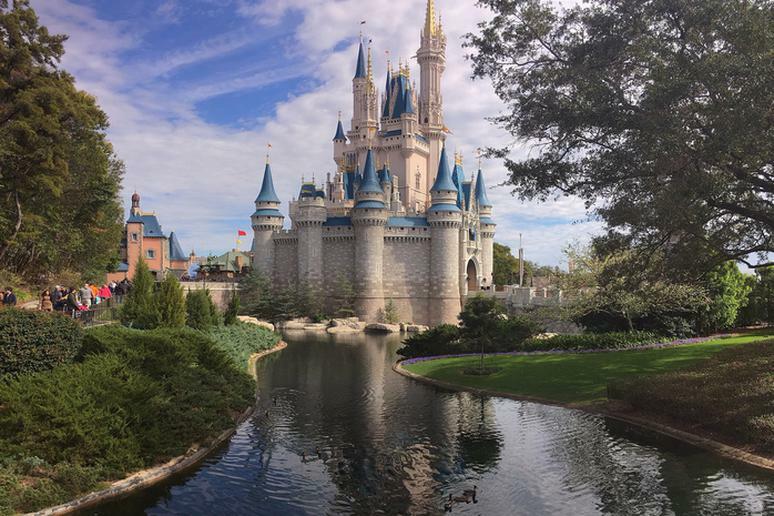 Don’t put in for days off from work before you book your vacation at Disney. Be flexible with the dates you can visit so you can make the most of any discounts being offered. Weekends are obviously a bad idea. Prices are higher and crowds are enormous. Stay Monday through Thursday if you can. You can buy Disney trinkets almost anywhere and all of those places will be selling them for a lot less than the actual theme park. 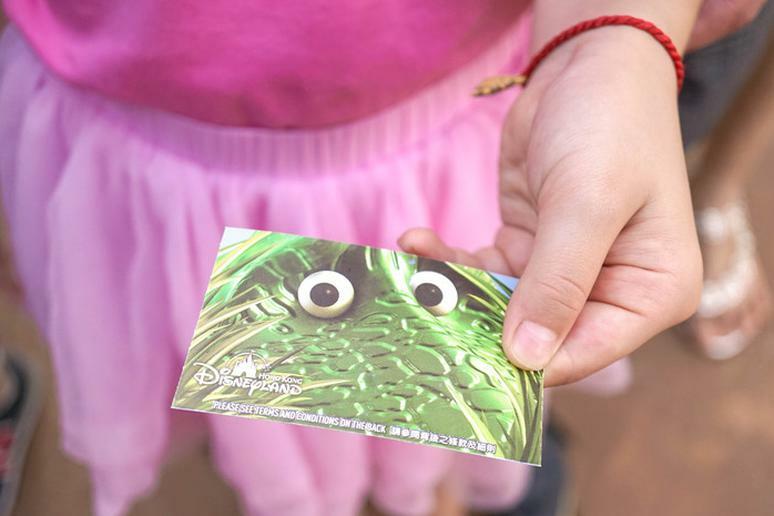 Bring souvenirs from home to give to your kids to run with around the park. Target and Amazon sell many of them for a lot less. Photos are great souvenirs because they are personal. Either make some easy snacks or buy a few before you enter the park. You are allowed to bring in food, which is great if you don’t usually eat big portions anyway. You can save a lot by avoiding eating meals at the on-site restaurants or vendors. Splurge on meals with the whole family and save on all the rest. Disney is expensive but the “happiest place on Earth” offers a lot of free opportunities to enjoy yourself. 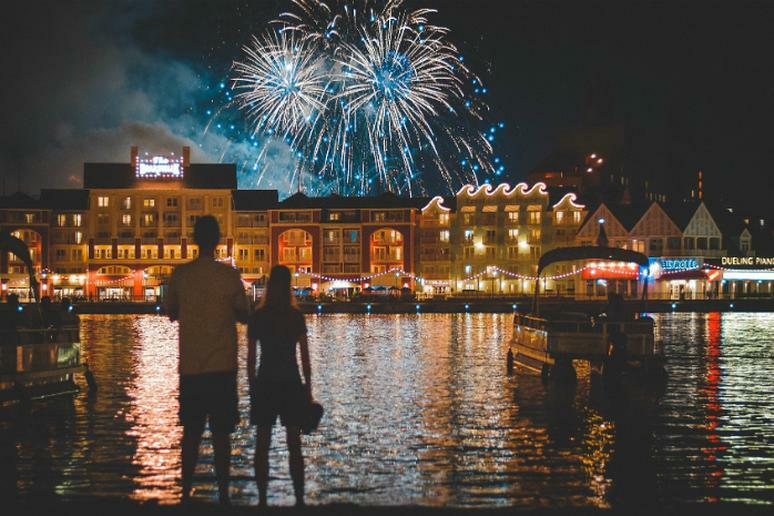 Go to Disney Springs for free boat rides from one complex to another, go on a free walking tour to see zebras, giraffes and other exotic animals at Animal Kingdom, stroll down the mile-long Disney’s BoardWalk and watch the fireworks over the park at night. 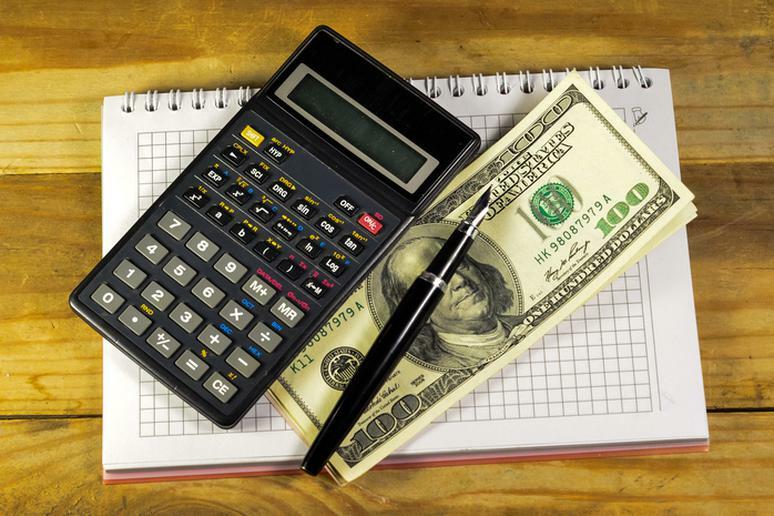 Have you heard of the expression “time is money?” Planning ahead can save you tons. 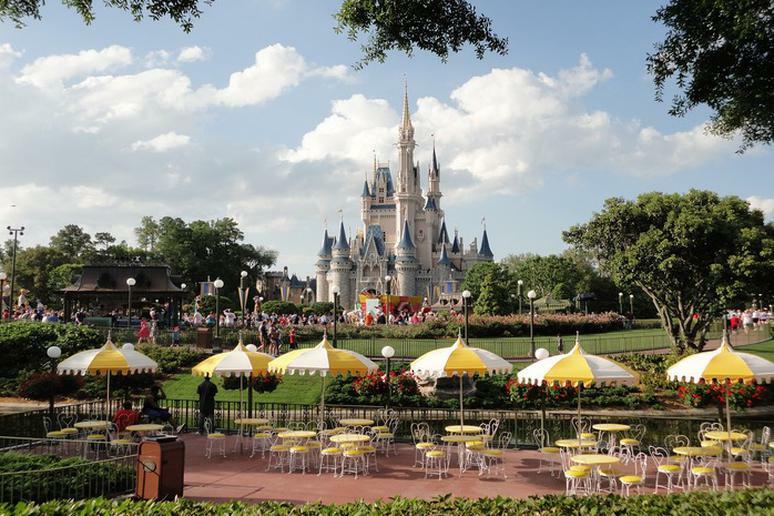 Don’t spend even a minute wondering what to do because you’ll probably end up spending extra if you decide to go to a park or have dinner at a Disney restaurant at the last minute. 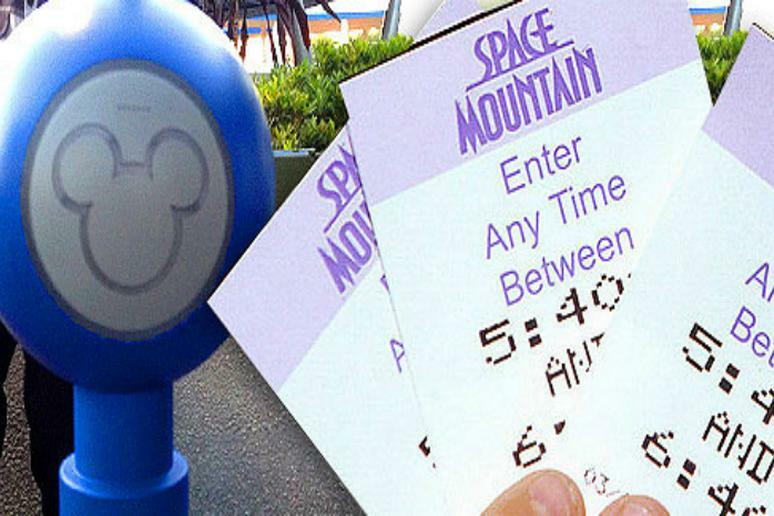 Make a time chart of which rides you’re going on and when so you save time looking for them while being distracted by other attractions that can cost you extra. They can be used for absolutely everything in the park. The discounts are not tremendous but saving even 5 percent on a purchase you’re going to make anyway is worth it. 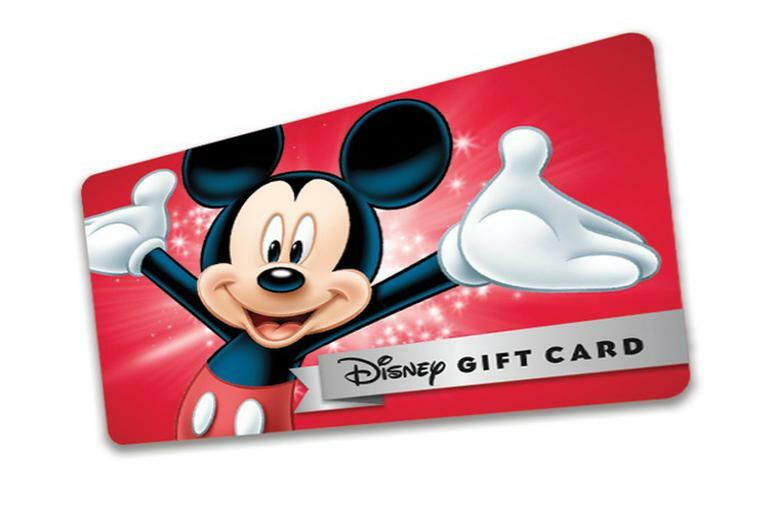 Buy several discounted gift cards and the savings will add up. You can buy these cards at Target, BJ’s, Sam’s Club, to name a few. 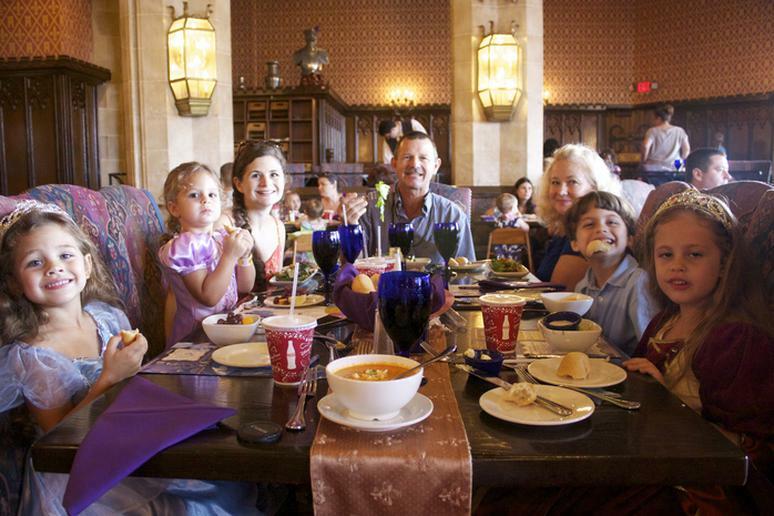 Disneyland Character Dining is an absolute must for the kids. Buying a voucher in advance can save you up to 10 percent. 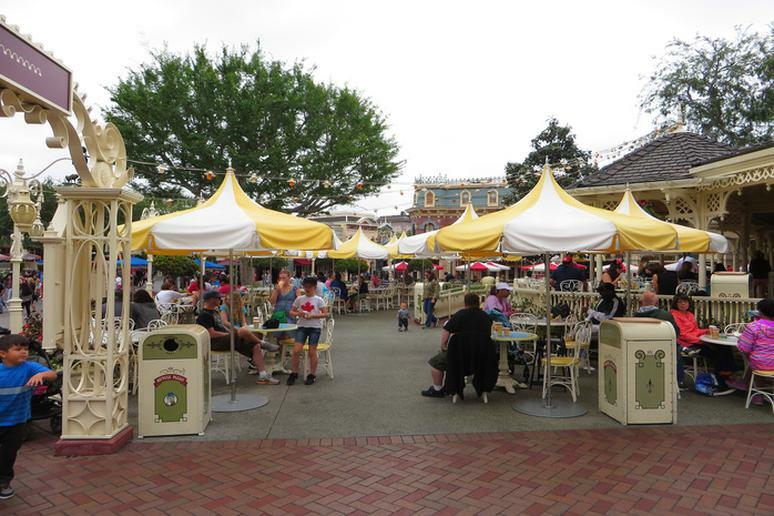 If you decide to stay on-site, make sure to check if Disney offers free dining plans. They often do. Buying a dining plan is also worth it if you eat a lot because the portions are generally very big. Reservations are strongly recommended and can be made up to two months in advance. Forget about off- and on-site hotels if you can’t decide which is cheaper. 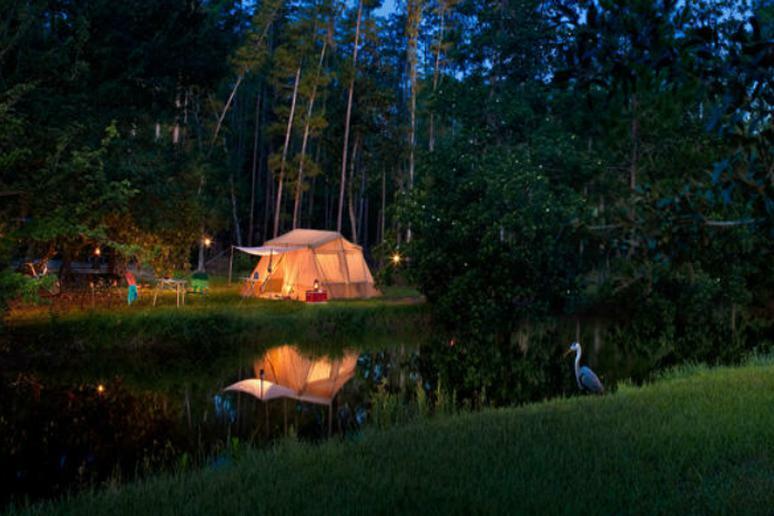 Add one more adventure to your trip and go camping at Disney’s Fort Wilderness. This is by far the cheapest lodging option. The kids will love playing by the fire, the swimming pool, stargazing, and sleeping in a tent. Room for either a pop-up or camper van-type vehicle plus a tent or 2 tents is just $53 per night. This one should be easy. Hotels usually offer free continental breakfast and you can always grab something before you actually enter the park. 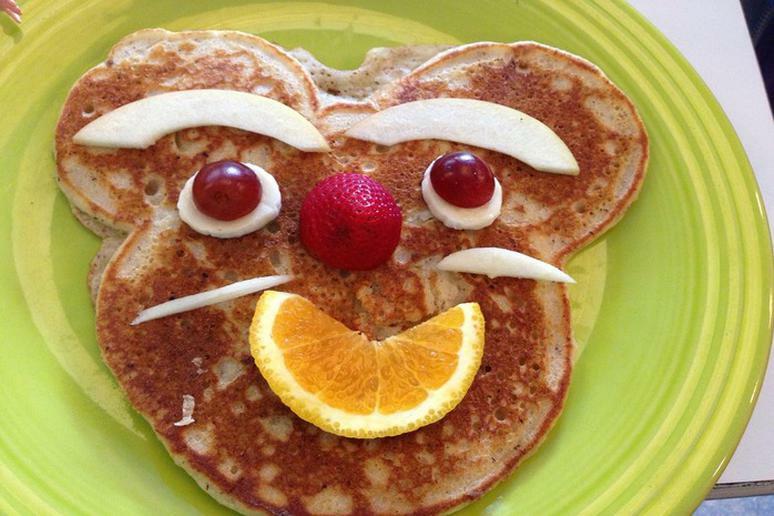 By doing this, and packing lunches, you can just pay for one meal at the theme parks. Write every expense you’re foreseeing down and set a limit. This includes meal costs, gas prices, snacks, parking, drinks, passes. Seeing what you are about to spend in black and white will help you decide where you can cut down so you don’t ever go over budget. Paying cash also helps keep track of how much money you’ve spent so far. 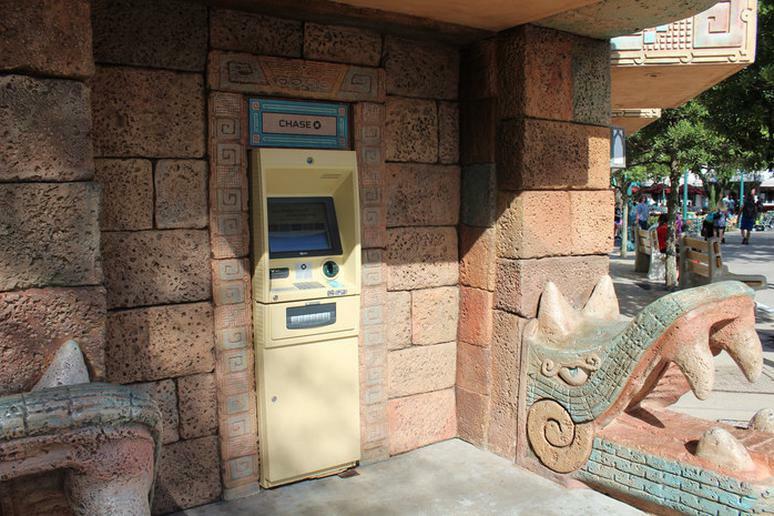 You can get cash from the ATM all over the resort and pay a transaction fee or you can use Disney dollars, which serve the same purpose as cash, and not pay any extra fees. New Disney dollars are no longer available to purchase, but guests may continue to use previously purchased ones at Walt Disney World Resort, the Disneyland Resort and select Disney Store locations in the U.S.
Don’t be caught unprepared in case it rains. Check the weather forecast to avoid having to buy an overprice rain poncho from the park’s stores. The difference could be $6-$7. You may want to put them on while you’re on any of the water slides if you don’t enjoy getting soaked.